Top-of-the-range air fryers can cost hundreds of pounds, but enjoying healthier fried food need not break the bank. 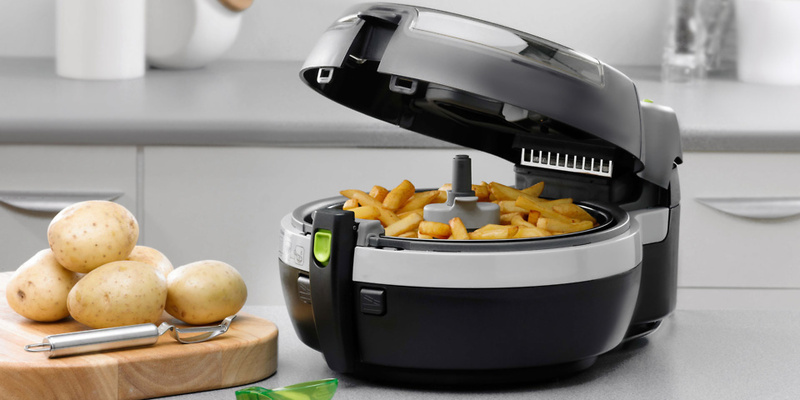 Our tests have uncovered air fryers for less than £100 that make delicious chips on the cheap. We’ve seen a rush of more affordable air fryers in the shops recently, so we decided to put them to the test to see how they measure up against the popular Philips Airfryer and Tefal Actifry ranges. We tested models from Argos, Lakeland, Morphy Richards and Power, as well as cheaper entry-level models from Philips and Tefal, and uncovered two Best Buy air fryers that cook brilliantly on a budget. 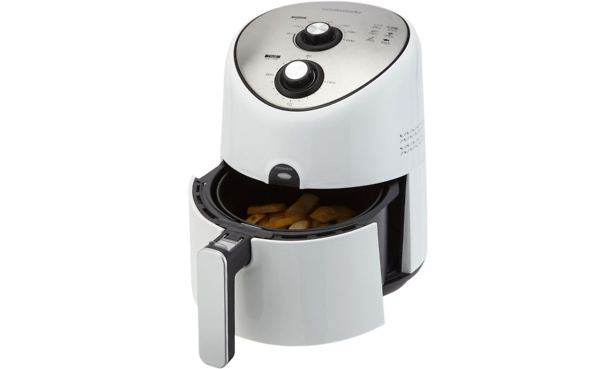 We also found a new top-scoring air fryer that makes truly scrumptious air-fried treats. However, not all the budget air fryers impressed us. Several were so poor they only missed out on being named Don’t Buys by a couple of percentage points. Check our air fryer reviews to find out which models we recommend – and to ensure you avoid the air fryers that make limp, disappointing chips. Here are three budget health fryers that have gone through our tough tests. As part of our tests, the chips made by each fryer are assessed for evenness of cooking, and are rated by our expert chef in a blind tasting. With its white plastic body, this air fryer from Argos own-brand Cookworks certainly looks more budget than others, but you won’t find a price this low anywhere else. It can cook up to 700g of chips – around three portions. This isn’t as much as some pricier models, but it should be plenty for a smaller household. Can this cheap Argos air fryer churn out surprisingly good chips? Read the full Argos health fryer review to find out. Morphy Richards has other air fryers that hit the £100 mark, but you can pick up this model for much less online, as it’s often on offer. According to Morphy Richards, it’s suitable for everything from starters through to desserts. It comes with a selection of recipes in the instruction manual, so it could be a great option for those looking to branch out from low-fat chips. 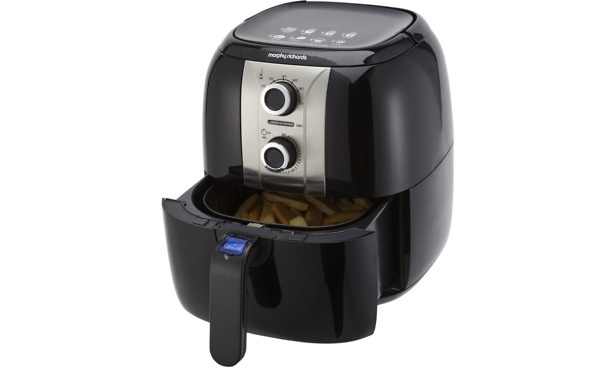 Find out whether it gets the basics right, producing tasty chips with minimum faff, in the full Morphy Richards Health Fryer 480003 review. 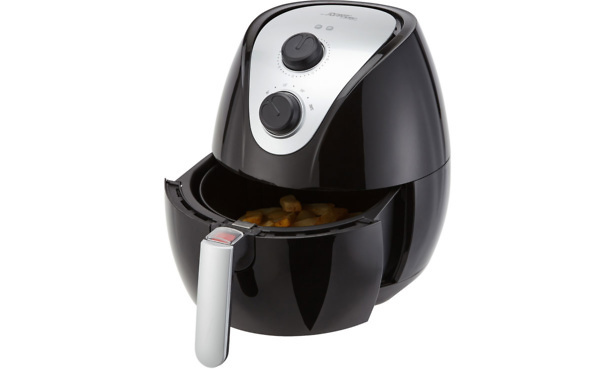 Power, a brand from High Street TV, has several air fryers on the market, and this is one of the cheapest you can buy. It doesn’t have the touchscreen digital display that the more expensive models have, but it does come with a partition for cooking two foods at once, so it could be perfect for making an easy dinner of chicken and chips. Watching crispy food being made on the TV adverts might be enticing, but in our tests we often encounter air-fried food that looks the part but tastes dry and bland. To see how our expert chef rated this air fryer’s chips, read the full Power Airfryer Express 3.2L air fryer review. Larger capacity – if you live in a large (or hungry) household and have space to spare on your kitchen worktops, you might want to shell out for a bigger air fryer. The largest Tefal Actifry model comes in at a whopping 1.5kg, more than twice as much as some cheap models, so it will save time if you need to cook for a crowd. 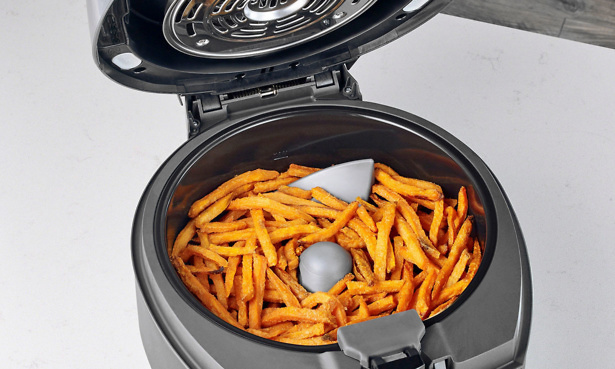 Versatility – interested in making entire meals in your air fryer? Look for models that let you cook two different foods separately. Partitions or dividers can be found in cheaper models, although they’re mainly found in air fryers over the £100 mark. If you want to go really high-end, the Tefal Actifry 2 in 1 has an extra shelf above the cooking basket, so you can make two things at once without contamination, and can almost double your cooking capacity. Smart controls – if you like the idea of checking on cooking progress from the comfort of your sofa, the Tefal Actifry Smart XL air fryer works with an app that helps to automate the cooking. You can set the recipe you want and how many people you’re cooking for, and the machine does the rest, calculating the optimum temperature and cooking time. By enabling Bluetooth, you can also start and pause the cooking using your phone. Ease of use – pay more and you’ll usually get helpful little touches to make life easier. For example, pricier models usually have detachable pan handles, making it easier to stow your air fryer away after cooking. Cheaper models may skimp on the power cord length, giving you less flexibility in where you can use the air fryer on your worktop. We give each air fryer an ease-of-use rating, so you can find the right balance between budget and comfort. To get straight to the best options, check our list of the best air fryers for 2018. Here’s the full list of recently tested air fryers. You can follow the links to see the individual reviews, or head to our air fryer reviews to compare all the models we’ve tested side-by-side. Prices correct as of 8 May 2018.